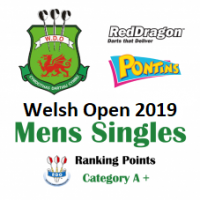 The 2019 Welsh Open Mens Singles is a BDO category A+ ranked event and will take place on Sunda.. 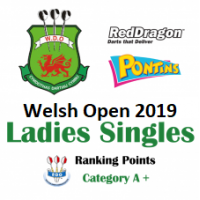 The 2019 Welsh Open Ladies Singles is a BDO category A+ ranked event and will take place on Sunday 1.. 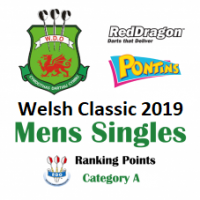 The 2019 Welsh Classic Mens Singles is a BDO category A ranked event and will take place on Fri.. The 2019 Welsh Classic Ladies Singles is a BDO category B ranked event and will take place on Friday.. 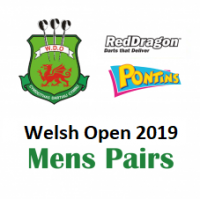 The 2019 Welsh Open Mens Pairs will take place on Friday 10th May 2019 at Pontins Prestatyn, Central.. 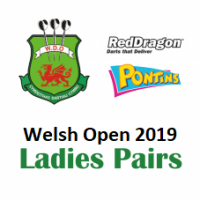 The 2019 Welsh Open Ladies Pairs will take place on Friday 10th May 2019 at Pontins Prestatyn, Centr.. The 2019 Welsh Open Mixed Pairs will take place on Saturday 11th May 2019 at Pontins Prestatyn, Cent.. 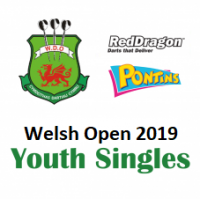 The 2019 Welsh Open Youth Singles will take place on Saturday 11th May 2019 at Pontins Prestatyn, Ce..